Bankrupt Harley-Davidson subsidiary Buell Motorcycle Company has been rebranded as electric-bike brand Fuell. And their new designs are beautiful, potent reminders of the power of intelligent collaboration. Ex-Harley Davidson engineer Erik Buell launched his new company with entrepreneur Francois-Xavier Terny and Sauber Motorsport CEO Frédéric Vasseur. Fuell aims to offer a variety of two-wheeled electric vehicles designed for city drivers. The brand’s launch began with the introduction of an electric bicycle and an electric motorcycle. Building upon recent advancements in the field, Fuell’s new Fuell Flow-1 motorcycle impresses with a sleek, modern design and plenty of power. Buyers can select from two power options, including an 11 kWh option and a 35 kWh model. Each Flow-1 build stands out with a 13-gallon internal storage space and a motor built into the rear wheel. Those looking for a simpler commute-mobile with easier storage potential can opt for the Fluid-1 e-bike, which is equipped with an integrated electric motor, internal hub gears, and a carbon belt. The standard version boasts a top speed of 20 mph, but the S model has a top speed of up to 28 mph. Both versions have a range of 125 city miles. Interested customers will see more information trickle in by the end of April. 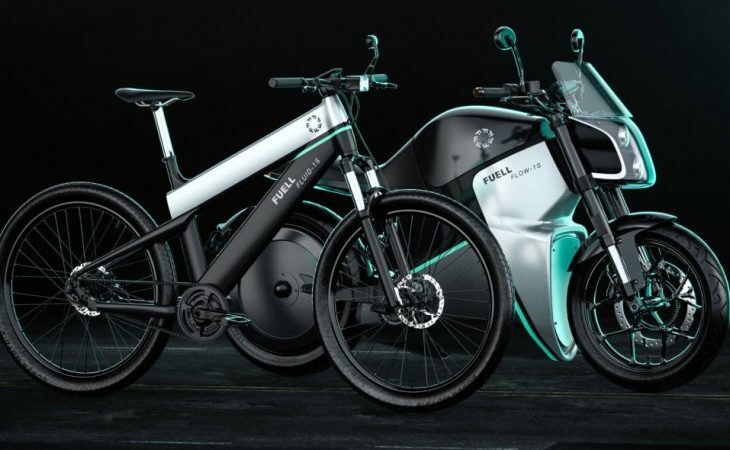 The Fluid-1 e-bike starts at $3,295; the Flow-1 motorcycle starts at $10,995.